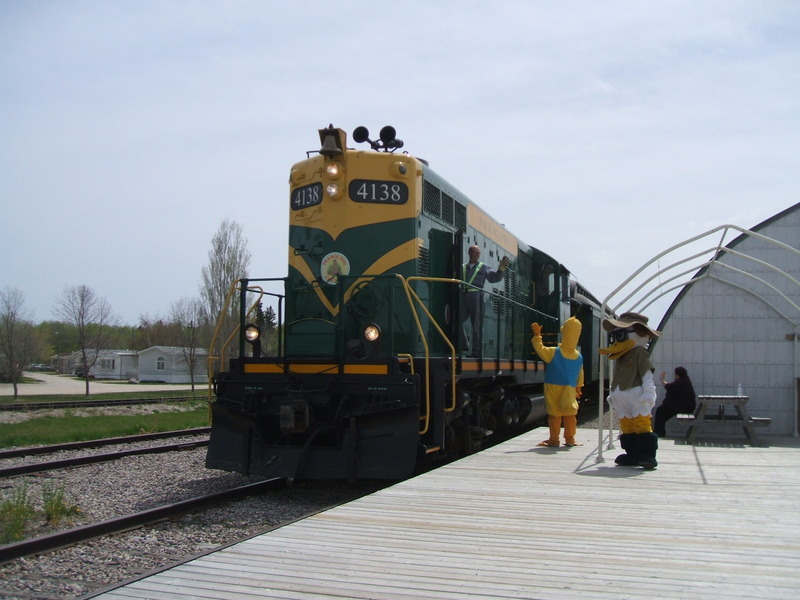 This past Saturday we were part of a group that put on something called Children’s Rail Day. Basically we offered families from the Rainbow Society and a couple other groups the opportunity to ride the Prairie Dog Central to Warren where they were given hot dogs, ice cream, chips etc. There were a couple kiddie trains for them to ride on and other activities. 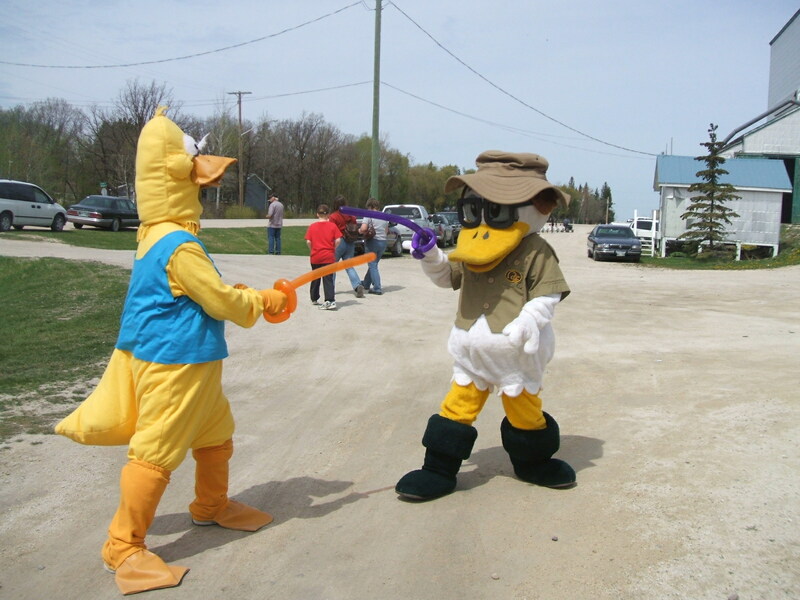 Our ducky mascot, the Oak Hammock Marsh Duck, the PDC mascot and a clown were all there to entertain the kids. This was free of charge to them, th ey just had to get to Inkster Station and get on the train. Luckily it was a better weather this year. We also did this last year and it was rainy and cold. There were 200 people committed to coming on the train, but only 90 showed up that day, which was quite disappointing. The kids that were there seemed to enjoy themselves however. The computer gremlins won’t let me post my pictures so I will have to try again later.